California is easily the most populated state in the country, and a huge chunk of that population lives in or around the Bay Area. Even though customers are abundant, the competition is fierce and your company needs to make lasting impressions at the events it organizes or attends. 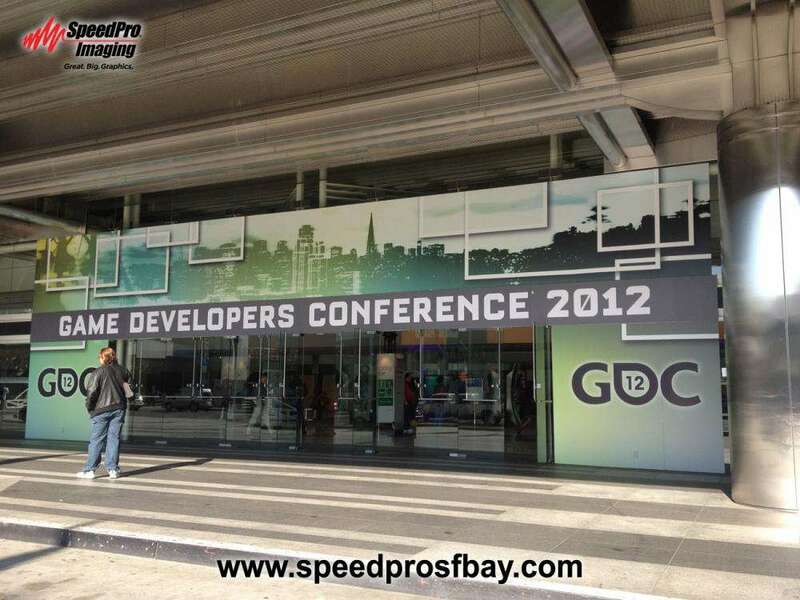 SpeedPro Imaging of SF Peninsula is the go-to place for bold and professional event graphics. With our mid-peninsula location between San Francisco and Silicon Valley, we’re in the perfect spot to bring our clients’ ideas to life in great, big graphics. 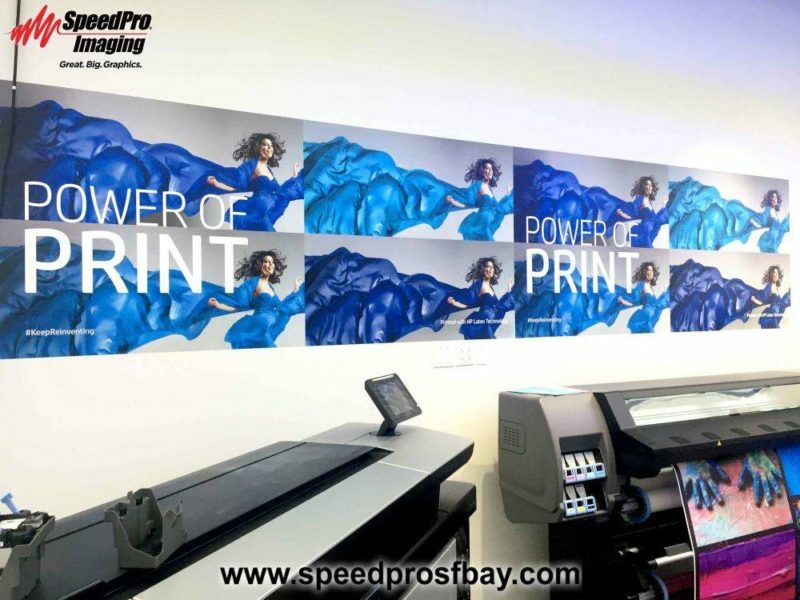 But you’ll find more than just great printing, finishing and installation. With our experience in trade shows, events and experience marketing we’ll partner with you to understand your unique requirements and project details. 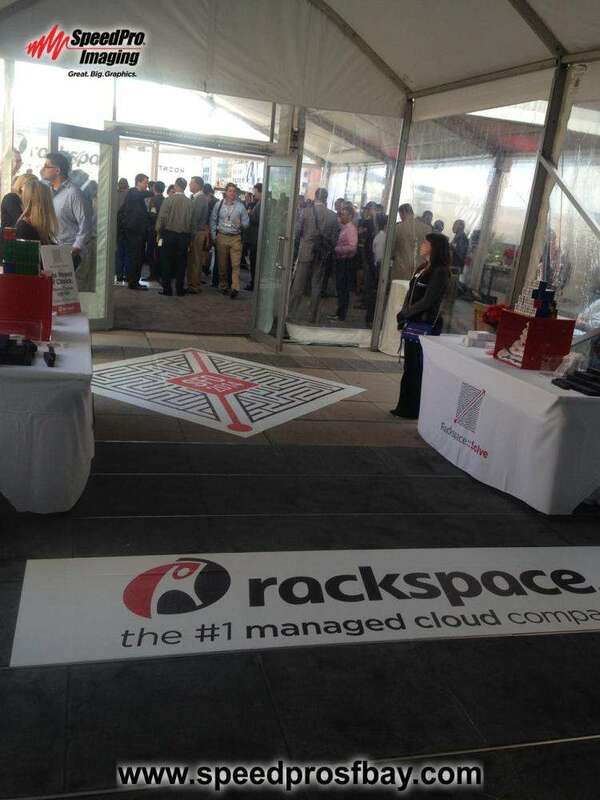 Whether you’re a coordinator, presenter or vendor, our staff will help you stand out from the crowd. We offer our clients solutions and follow through, so you can feel confident in bringing us any project you need actualized. Attention to detail. Commitment to communication. Dedication to Quality. 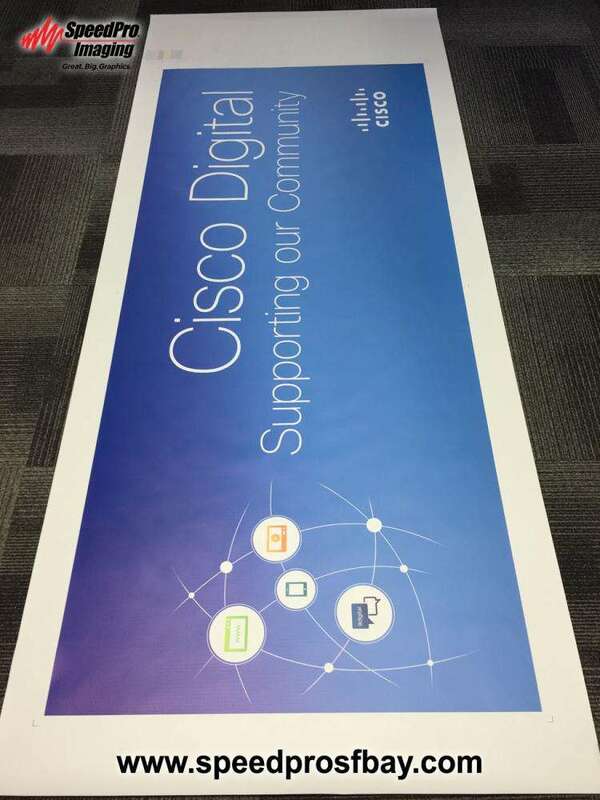 Posters and “meter boards”: From foam board easel signs to standing “meter boards” or retractable banners, we can meet your needs for site signage. Elevator Wraps: Make a bold statement and leave an unforgettable first impression with elevator wraps. Elevator wraps are a fun and memorable way to introduce a new product, reinforce your key message or pop your brand. Backdrops: Who doesn’t like a good photo op? Backdrops (scenic or “step & repeat” logo patterns) offer a key opportunity for attendees to get a visual memento of your event — and post photos on social media with your brand at the forefront. Tents: If you’re taking your business display on the road to concerts, festivals or fairs, a tent is an essential part of the equation. It can provide a vital beacon that alerts potential customers to your location while pulling them away from competitors. 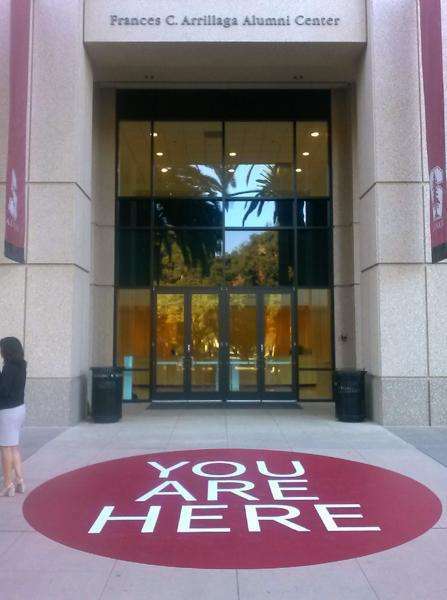 Sidewalk signs: If you’re aiming to take your promotional materials to the streets, we offer the necessary hardware to make the biggest impact. Coroplast A-frame signs or lawn stake signs are often used to generate curbside appeal. We also offer banners, directional signage, kiosks, window graphics, flags, floor graphics and more! Contact us today to set up your consultation with our team, or come visit our studio on Taylor Way, just off US 101 in San Carlos. We’re committed to providing corporate event graphics and more to businesses in San Mateo, Santa Clara and San Francisco counties.